Casa Rose is delighted that our Winter 2017 Fashion Show was featured in the Oxford Time Magazine November Issue. 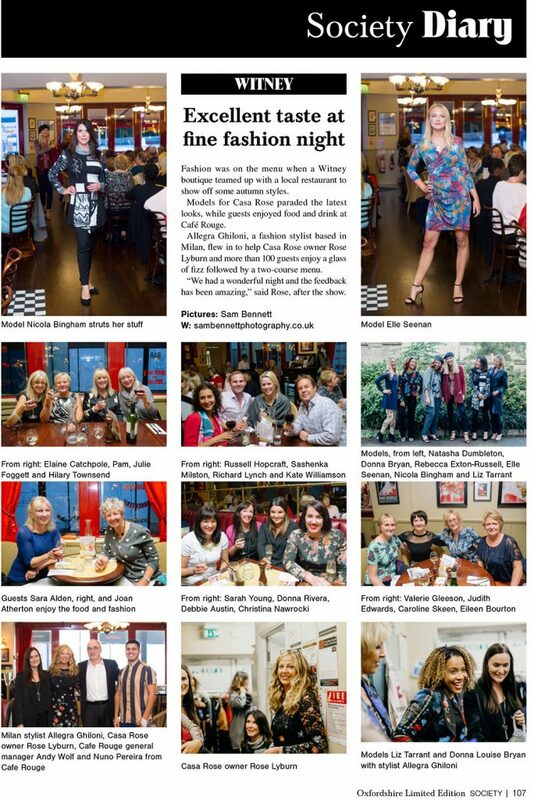 Get the lowdown on our fabulous night of fashion, food & fizz hosted at Café Rouge Witney! Next Next post: Casa Rose Fashion Show at Branca!